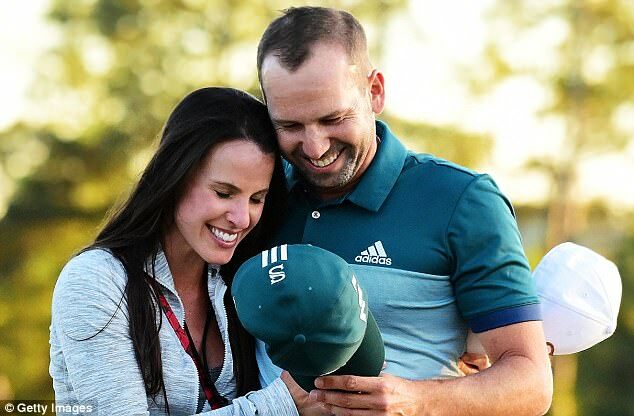 Celebrating his Masters win, Sergio Garcia and the woman he’s called his inspiration, fiancee Angela Akins, took Manhattan by storm. 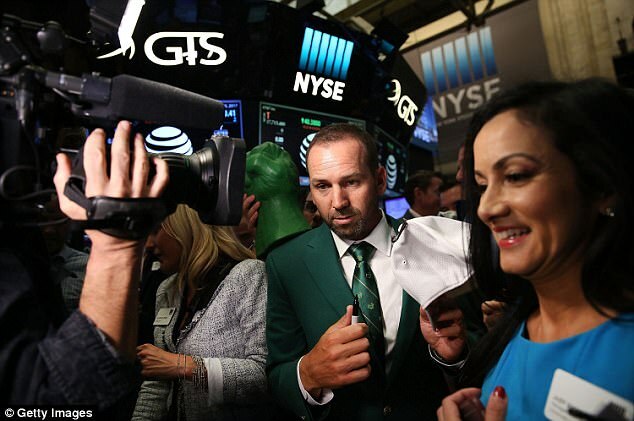 The were in an empire state of mind as the day after the tournament, the happy couple took in the top of the Empire State Building, Garcia in his green jacket, of course. The new champion and his lovely lady took in the stunning view from the top of the famous building. 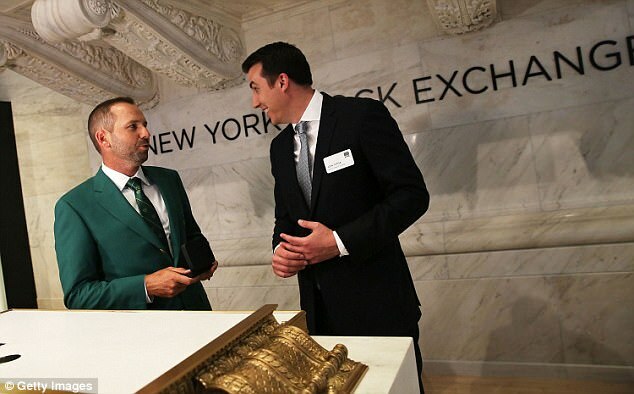 They also toured the floor of the New York Stock Exchange. It may have been Akins’ calming and inspiration influence on the golfer that rocketed him to victory. All week she had been leaving notes on the bathroom mirror. Inspirational quotes by figures ranging from Mahatma Gandhi to Audrey Hepburn. Look back through the annals, from Arnold Palmer to Gary Player to Jack Nicklaus, and for every great golfer there’s usually a fine woman standing by his side. 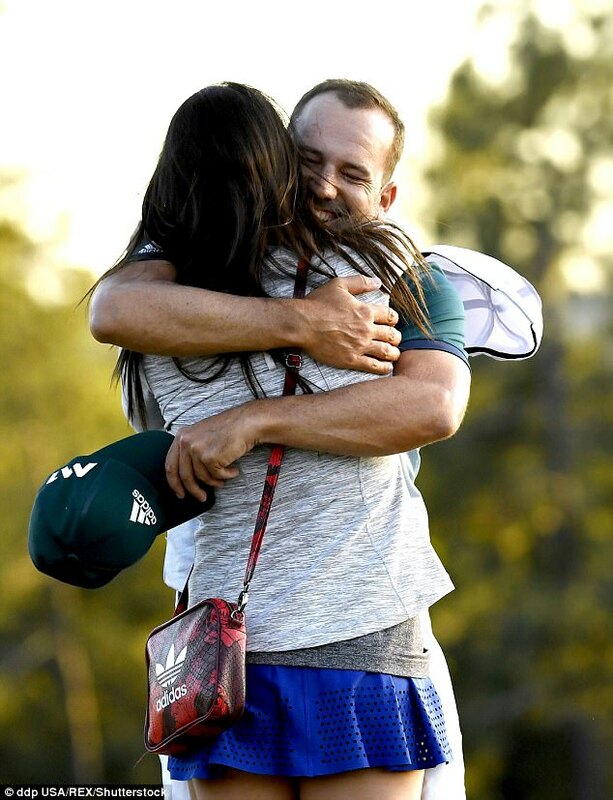 Akins might not have struck a shot at the 81st edition of the event but she was the reason why finally he got over the line at the 74th attempt. She was the missing piece. Garcia thought of those notes when he let out a primal scream after the birdie putt dropped at the first extra hole to end an epic against Justin Rose. As he dropped to his haunches, his life in golf flashed before him. He thought of all the years he’d wasted raging against the fates until Akins taught him the inestimable value of perspective. Akins was working for the Golf Channel in America when they met. She was no mean golfer herself, having played at collegiate level. Her father Marty was an all-American college quarterback. The family ooze positivity. They were there outside the ropes on Sunday, wearing Sergio caps. 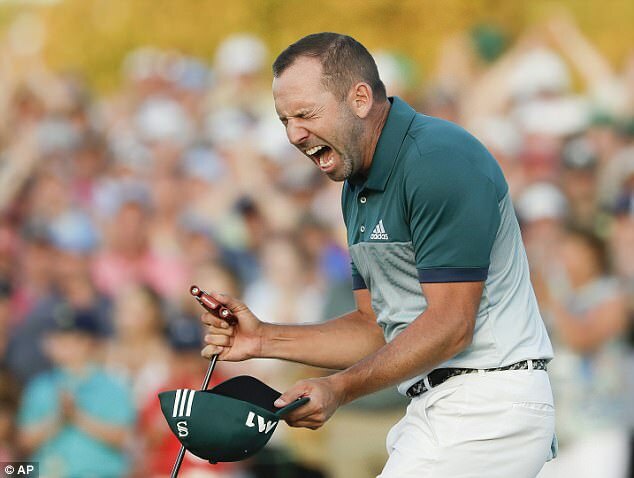 It was always a great mystery why Sergio would be all but invincible at the Ryder Cup but not able to finish the job at a major. Hole all the putts that matter when surrounded by the camaraderie of his team mates but not when they were for himself. Akins has filled the void. You could see it in Dubai earlier this year, when Garcia outlasted a man as tough as Henrik Stenson to win the Desert Classic. It was like having the old, happy-go-lucky Sergio back and you felt maybe his race at the majors might not be done. A few months later, the wider sporting world fell in love with him when he took on the mighty Tiger Woods and pushed him all the way at the 1999 USPGA Championship. How many majors is this teen going to win, we wondered. It was sad to see golf and love drag him down. If he wasn’t suffering disappointments at the majors he was suffering heartbreak outside the ropes. 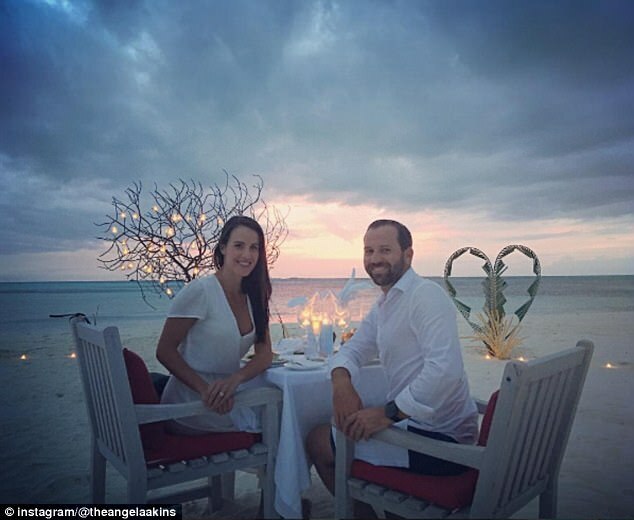 For a while he was a broken man after splitting with Greg Norman’s daughter Morgan-Leigh in 2009. The following year he didn’t even make Europe’s Ryder Cup team. It has been a long road back. Even when he was a lion in defeat by the Americans at Hazeltine last time, the view was that there was too much scar tissue to win at the majors. 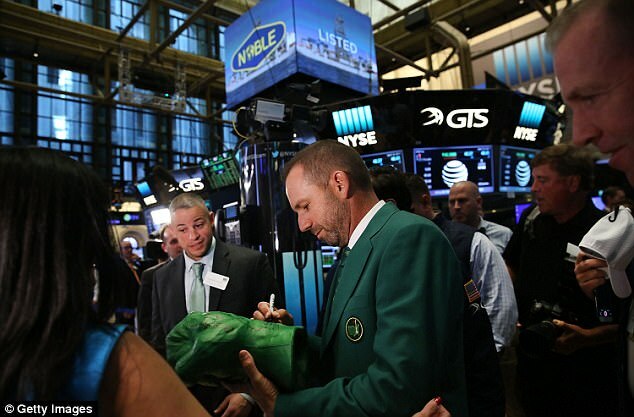 After all, no man in Masters history had won his first green jacket as late as his 19th attempt. Leading at halfway failed to convince the online trolls who couldn’t wait to tell us he would choke. When he stumbled at the start of the back nine, falling two shots behind the doughty Rose and pulling his tee shot into the trees at the 13th, it looked like a re-run of a familiar horror movie. ‘In the past I would have been wondering, “Why did it not go through the trees?”’ reflected Garcia afterwards, in a lovely moment of self-deprecation. It was appropriate that the moment of fulfilment should come alongside Rose. They met when they were 14, as the leading amateurs for Britain and Spain. When 17-year-old Rose came to prominence in 1998 at the Open at Birkdale, finishing joint-fourth, Garcia was the first man to congratulate him. They’ve both known their share of hard times. Both have always been brilliant ball-strikers but suspect putters. The respect they have for one another was clear throughout their marvellous Sunday afternoon at Augusta. As the pair embraced at the end, Rose whispered in Garcia’s ear: ‘I’m happy for you. Nobody deserved it more than you.’ Rose was packing up and departing when they bumped into one another once more. Garcia had just finished his media duties, clad in his green jacket. ‘Look at this man!’ said Rose, giving the victor another hug. 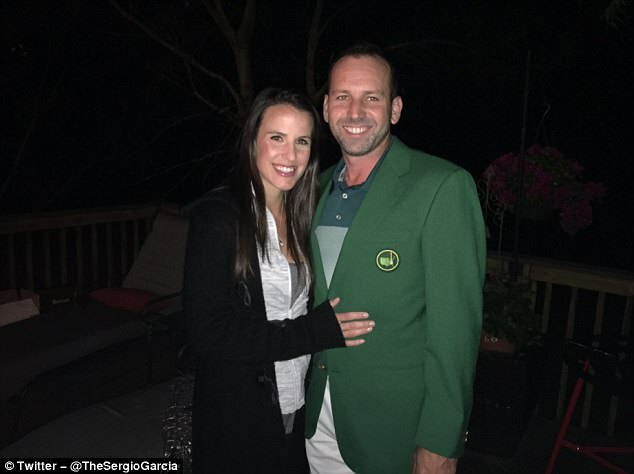 There had been playful talk of getting married in green when Sergio and Angela tie the knot in July but it will not happen. That Garcia is behind us — the one whose life was dictated by what happened on the golf course.